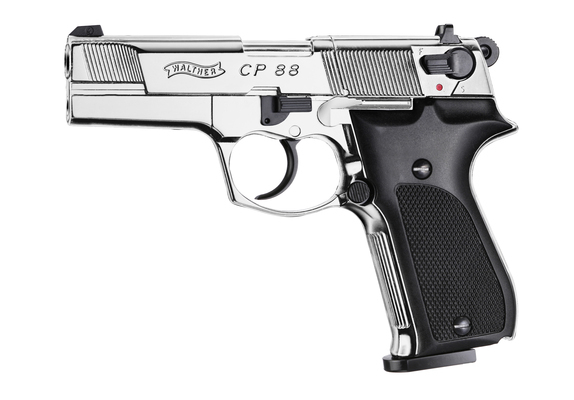 If you own a CP88, you also own a piece of history. 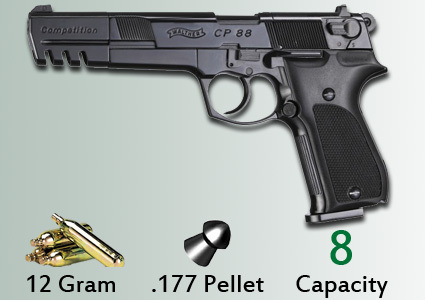 This is not only an authentic replica of the legendary Walther P88, it’s also the first pellet-shooting CO2 pistol made by Umarex. At the time, this was a true milestone and absolutely unique. 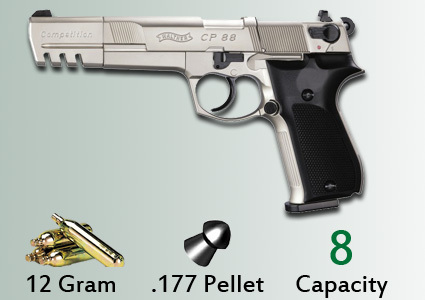 In precision, performance and reliability it set standards for a whole generation of recreational guns. 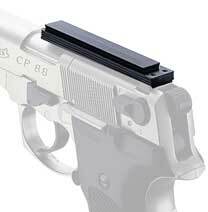 With its 8-shot rotary magazine and interchangeable barrel system, the CP88 still commands respect. 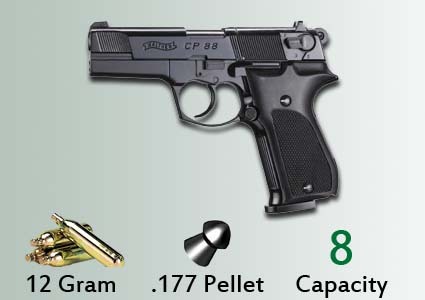 Due to the modular system this CO2 pistol can be used for various shooting activities. The outstanding workmanship and the modular system make it an outstanding performance pistol - in the original Walther design. The 4" version is ideally suited for the popular "Action Shooting". For shooters wanting more precision, the 6" version is also available. Also suitable for beginners and very popular for training purposes. 11mm dovetail rail. Slides in rear sight position. Allows for fitting a red dot, scope, etc. 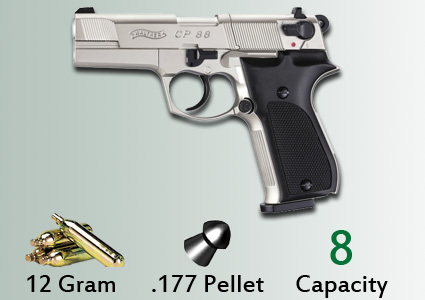 Due to the modular system this CO2 pistol can be used for various shooting activities. The outstanding workmanship and the modular system make it an outstanding performance pistol - in the original Walther design. The 4" version is ideally suited for the popular "Action Shooting". For shooters wanting more precision, the 6" competition version is also available. Also suitable for beginners and very popular for training purposes. A pack of 3, eight shot rotary magazines.